The Cotton Candy Cardigan is my newest release! It's a great ladies’ garment, perfect for the warmer months. You can make the body and sleeves of the cardigan as long or short as you like. Pattern includes color-coded instructions and photographs to guide you. This cardigan works up quickly, and is a great project for experienced beginners. 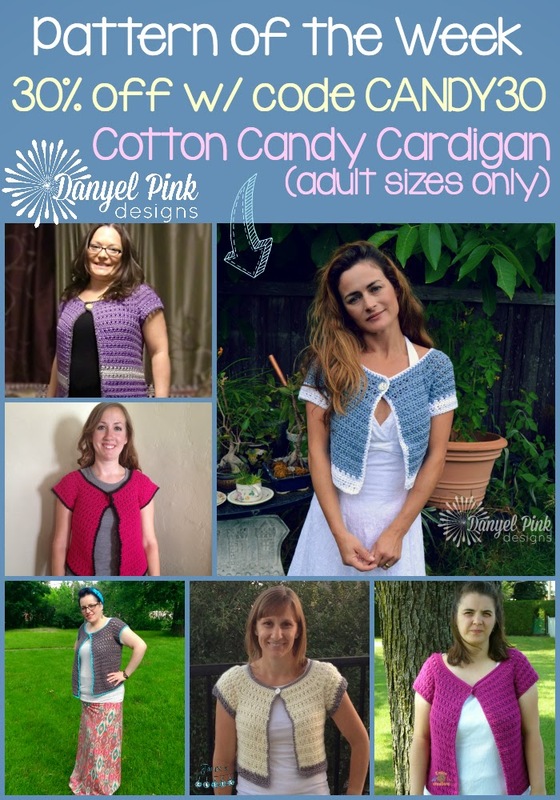 Snag your copy of the Cotton Candy Cardigan crochet pattern for 30% off w/ coupon code CANDY30 through Friday. of the Cotton Candy Cardigan for just $7.49 anytime!